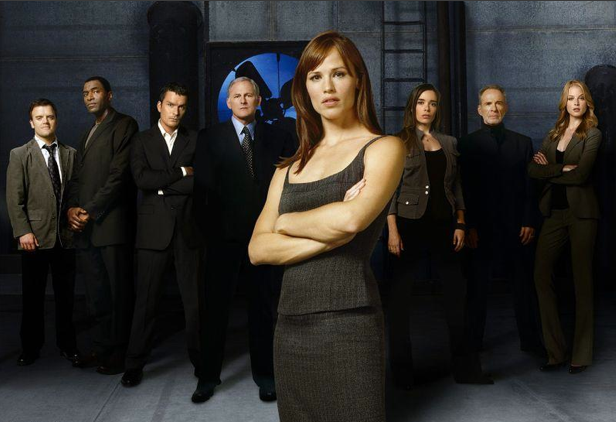 J.J.Abrams’ Alias was not only a tour de force in television making it also featured a female protagonist who was young, beautiful, multi-lingual, and capable of beating the crap out of anyone without wearing a cape and bracelets – her name was Sydney Bristow. When it premiered in 2001 I hadn’t seen anything like it on television. As a viewer I was spun around, once, twice and then a third time – after that I was a ‘lifer’. The plot included spies from all over the globe searching for mysterious 15th century artifacts that would change the world. At its core it was a race between good and evil – figuring out who were the good guys kept the audience guessing and lead to plot twist upon plot twist. There are five seasons of this series and where it might fall short is where I felt LOST fell short… the ending… but don’t let that stop you from enjoying hours and hours of exciting, mind scratching television. This is certainly binge worthy watching. As the title indicates its about the President of the United States, his senior staff – and all the drama, political intrigue and life and death decisions that happen in the White House. 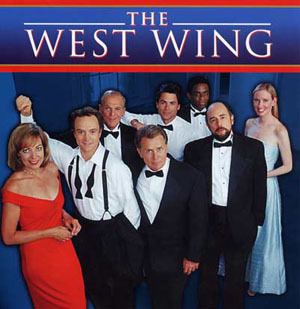 Coupled with the quick, witty, thoughtful dialogue by Aaron Sorkin –you too will be sucked into the what’s happening at 1600 Pennsylvania Ave.
I’m a particular fan of Season 6 featuring Jimmy Smits. This was the season that somehow foreshadowed what happened in our 2004 Presidential elections. Mr. Sorkin clearly has opinions and a leaning toward one side of the political aisle, but his characters are ones that stay with you. Binge worthy? For. Sure.